With its iconic cities and must-see tourist attractions, the USA has been named the top destination for a solo sightseeing trip, according to UK members of leading travel dating website and app, TourBar.com, with 12.6%% of its UK members naming the country as their top spot for a sightseeing visit. Following the USA’s lead, the historic locations and traditional heritage of the UK also proved popular, with 10.6%% of UK members naming a staycation top for a sightseeing trip. Short-haul culture holidays to Spain are also high on travellers’ agendas, with 10.3%% of TourBar solo explorers from the UK listing the country as the top destination for a break. Other favourable havens for solo culture vultures include the temples in Thailand (9.1%%), the celebrated beaches of Australia (6.6%%) and the historic sights of Italy (5.7%%). 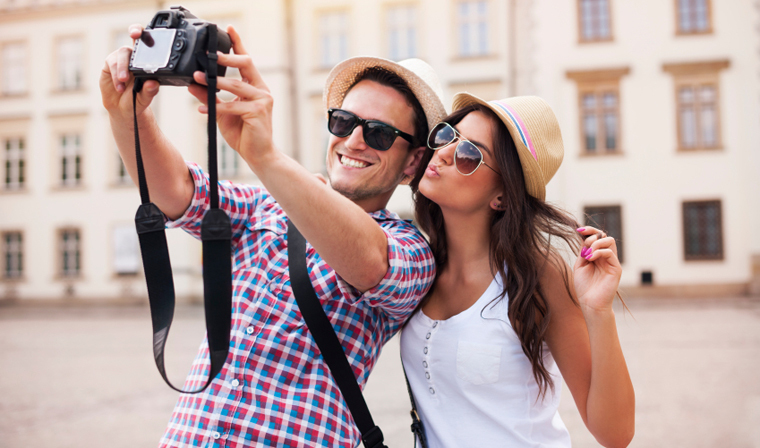 By using TourBar’s website and app, its 30,000 UK members can sign up for free and register an upcoming solo trip and meet up with like-minded sightseeing buffs, who are also planning travel to tourist hotspots on their own. Alternatively, for those members who aren’t planning to travel abroad any time soon but are still interested in showcasing their locale to solo travellers from abroad, they can register as a Guide for unaccompanied travellers who are interested in discovering their home city’s culture. Covering as much ground as possible quickly appears to be a top priority for TourBar members since bus tours accounted for 19.3%% of the total sightseeing trips registered, with a traditional UK double-decker bus trip being named the top choice by 15.3%% of solo travellers. Other crowd-pleasing countries for a tour on wheels include the USA (9.4%%), Sweden (8.5%%) and Romania (7.6%%). Cultural visits proved to be most popular among females, with 13%% of TourBar’s female members listing sightseeing as their purpose for travel, in comparison to 10%% of males. The age of these holiday-goers is not widely varied though, with 32%% of excursions being taken by those aged 25-34 years old, closely followed by those aged 35-44 years old (31%%).